The Glass Jug Wins Junes Amber Grant! After announcing the June Amber Grant Finalists last week, we’re excited to finally announce June’s Amber Grant winner! 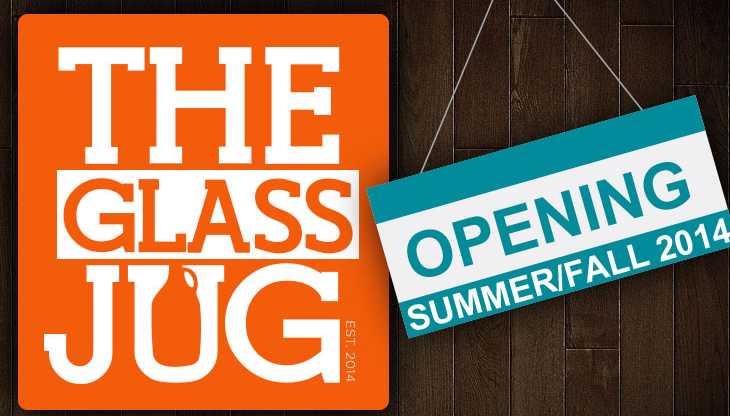 A huge congratulations to Katy Creech, owner of The Glass Jug! 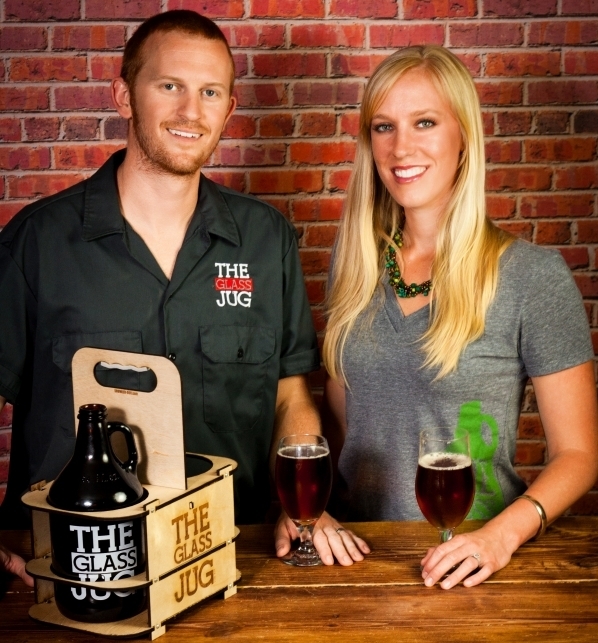 Continue reading to learn more about Katy, her company and her love for craft beer! WN: Have you always been a beer fan? Did you ever see yourself starting a business in the beer industry? KC: I have always been a beer fan, and one of my most commonly used phrases is, “Anyone who doesn’t like beer, just hasn’t met the right one yet.” I love sipping on a great craft beer, whether it’s a refreshing pale ale at a hot summer cookout, a big ol’ imperial stout curled up on a snowy winter night, or anything in-between. But, I think my favorite thing about supporting craft beer is all the benefits it has on our local communities. Before I got into craft beer, I had no idea all the things it does for communities where it thrives. Craft beer provides good jobs, serves as an attraction to draw in the working class & brings good fun for the existing locals. Craft beer has proven to be an excellent economy booster in North Carolina, providing hundreds of jobs on its own, and also boosting the state as a cool place to live. That has been a major factor in our state’s ability to attract large businesses moving here with thousands of jobs. I decided to get into the craft beer industry largely because of its mantra, “The rising tide lifts all boats.” Because we are all working together to fill our communities with happy, responsible craft beer drinkers, there is a lot of camaraderie amongst companies that would be fierce competitors in other industries. The craft beer industry is packed full of people committed to their industry and to their communities – I simply couldn’t resist getting in on it. WN: Since the new law has been passed in North Carolina, do you know of any other businesses in the state opening growler filling stations? KC: Yes. There are a handful of retail stores that are beginning to fill growlers in the state, from big establishments like Whole Foods to smaller specialty shops like ours. We are looking forward to the increasing popularity of growlers in the state, because there are so many great things about buying beer in growlers as opposed to traditional bottles or cans. b: We will counter-pressure fill our growlers using space-age-looking filling machines. This is a huge deal, and it will greatly improve our customers’ experience with the quality of their growlers. WN: Will you be offering tastings? KC: We plan to host a wide variety of events, tastings, and classes led by local industry experts. For updates on these events, sign up for our monthly email newsletter! WN: What’s your favorite beer that you plan to carry at your bar/shop? And how could we acquire some? KC: Oooh… that’s a tough one. I don’t think I could possibly pick one favorite… or even a favorite style, for that matter! I love variety, and I think there’s a perfect beer for almost every occasion. That’s one of the things I’m most looking forward to helping our customers with – breaking out of their go-to-beer comfort zones and helping them find new, exciting things for different occasions. Acquiring the beer is simple, just stop by! The store will be located just off I-40 on Hwy 55, convenient to RTP, Durham, Cary, Morrisville, and Apex. We are in the Greenwood Commons shopping center with some of our favorite local restaurants such as Papa Mojos, Sarah’s Empanadas, Thailanna, and Tandoor Indian. The shopping center is also the location of the South Durham Farmer’s Market every Saturday morning! WN: Your site says you should be open this Summer/Fall do you have a specific date set yet? KC: Haha – isn’t that the question of the day? Our opening date is still a bit of a moving target, but we’re shooting for early September, sooner if possible.